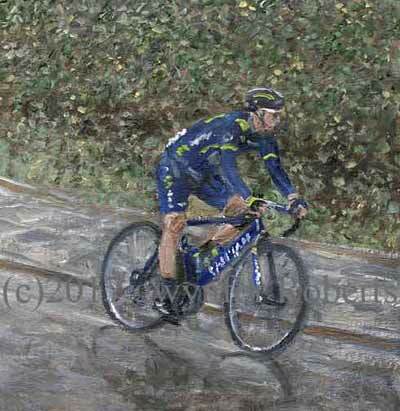 Paintings of the 2017 Tour of Britain cycle race. 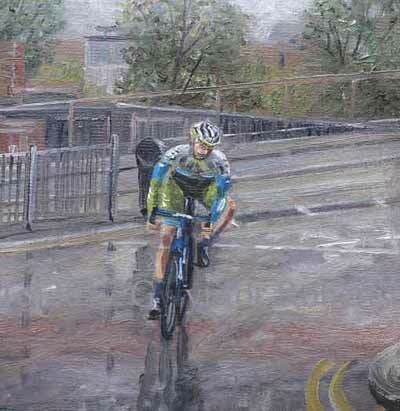 2017/24 is a small oil painting which captures the leading cyclist from the Movistar team, having just crossed the George Street Bridge in Newport. 2017/25 shows the second cyclist from team An Post Chain Reaction with the group of chasing cyclists' not too far behind him. 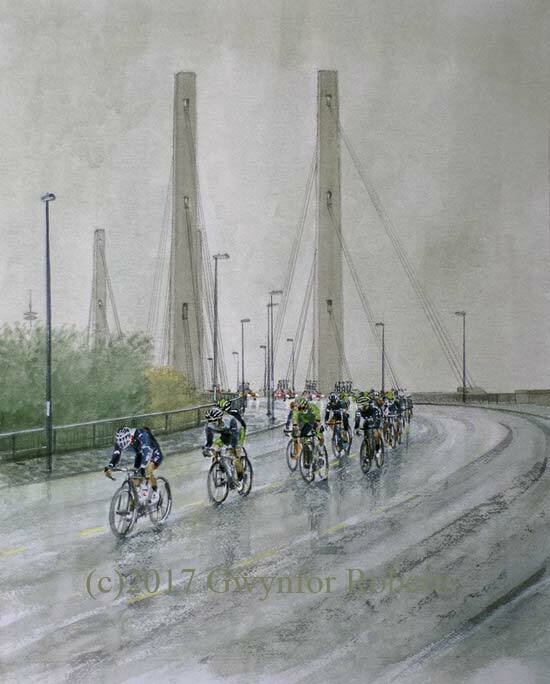 2017/23 shows the Peloton as they cycle over the George Street Bridge in Newport, bound for the finish in Cardiff. It was a nice dry day in Worcester, the start of stage 8 - final stage. That wasn't to last before the rain set in and by the time they came to South Wales it was heavy winds and rain, Worth the trip though. There was quite a distance between the chasing group and the Peloton shown here. So much that the crowd didn't expect this last bunch to come through. The lingering police at the traffic lights was the sign that there was more to come.